Nevertheless, the depth of these progression and stats systems vary from game to game. 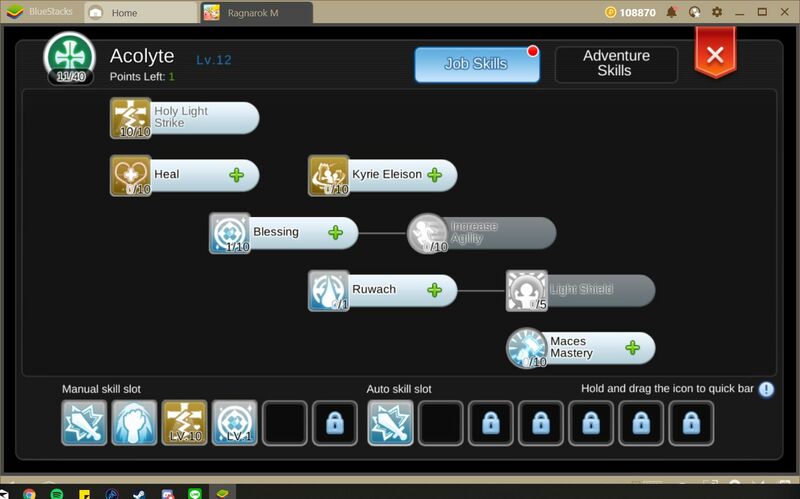 In fact, there are some titles that feature only the most basic systems such as gathering experience and leveling up, while there are others with complex features such as attribute management, skills, and classes that, when put together, translate into a “character build” that could significantly alter the way in which your avatar behaves. In this sense, a player who has just recently begun his adventure could someday become a powerful wizard that wields the elements to destroy his foes or a stealthy assassin that specializes in dealing swift and deadly blows to his enemies. In games like Ragnarok, the class and attribute systems, and the progression, in general, are very complex and varied and lends itself to create numerous character builds. Despite the fact that there are optimal builds—for both PvE and PvP—floating around the internet, this game allows you to experiment and explore your different options, all of which give excellent results once mastered. However, the game fails to explain the importance of each stat, and the weight that each point contributes to your overall build. For this reason, it’s difficult to optimize your character without overspending or coming up short on attribute points. 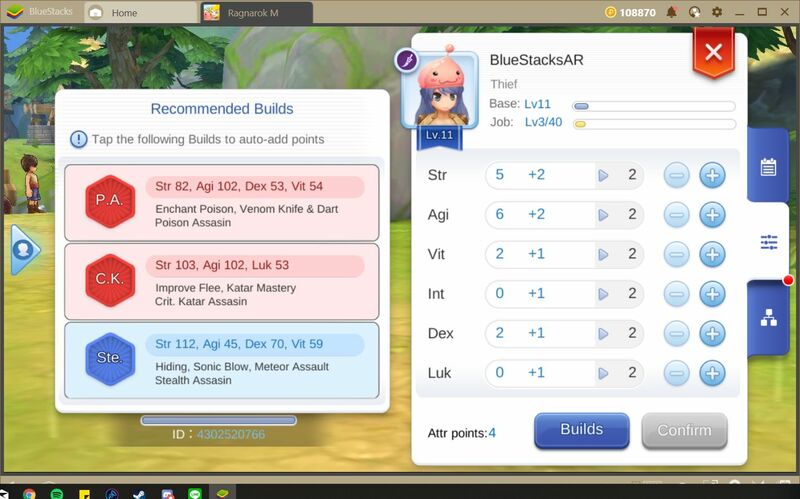 In this guide, we will talk about the stat system in this game, as well as give a couple of build suggestions that you can use to obtain good results. What is the Stat System? 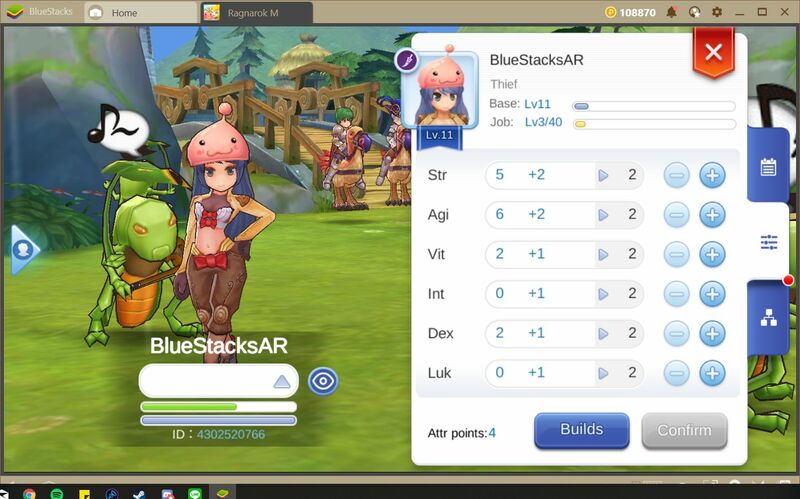 In our review of the game, we’ve talked about how, in both Ragnarok and Ragnarok M, there are unique progression systems that revolve around both base levels and job levels. In this sense, the experience points you receive from completing tasks can help you to level up both your character, as well as its class. 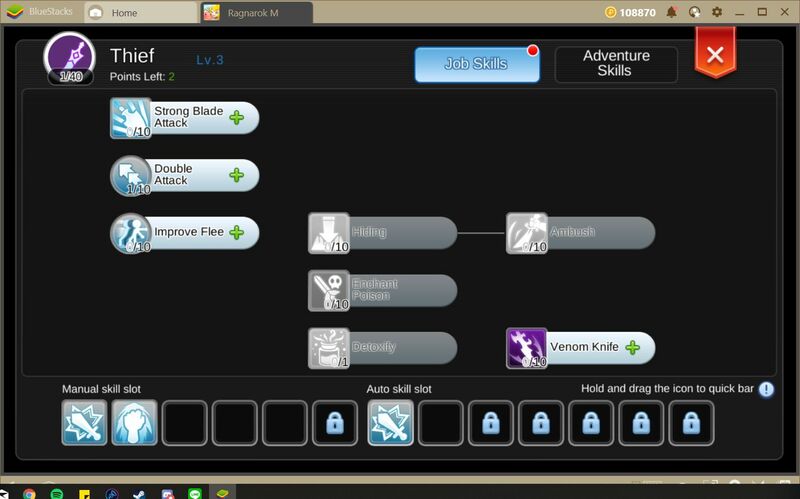 Furthermore, by leveling each of these aspects, you will receive attribute and skill points, respectively. These points are important since they can be used to increase your character’s attributes—that don’t increase automatically when you level up— and to learn new skills, respectively. Both aspects contribute to your character’s overall combat prowess and will determine the playstyle that you will adopt during your missions, even within the same class. For instance, a katar/crit assassin does not play the same as a dagger assassin since they each use different weapons and stat allocations, even though they belong to the same class. Strength (STR): Represents your character’s physical power. By investing points in this attribute, you will increase the damage you do with melee attacks. It is ideal for those who are following physical builds. Agility (AGI): Investing points in this stat will increase your character’s physical attack speed and flee rate, allowing you to run from aggroed enemies with ease. Vitality (VIT): Represents your character’s physical fortitude and resistance, and affects several stats related to his defense, including HP, health regeneration, and his resistance to physical attacks. Intelligence (INT): This is your character’s knowledge and wisdom, which play a vital role in his success at spellcasting. Increasing this attribute will aid the power of your spells, as well as your total SP and SP regeneration. Dexterity (DEX): This attribute is vital for those looking to create a character that specializes in attacking with bows and ranged weapons. Sinking points into dexterity will increase your attack damage and attack speed with bows, as well as your casting speed. Luck (LUK): Your character’s overall luck plays a role in the frequency in which you are hit for critical damage, as well as the frequency with which you land critical hits. It also affects the rate at which you suffer from debilitating conditions. The great customization that this game gives you when assigning your stat points can be really overwhelming, even for veteran players. 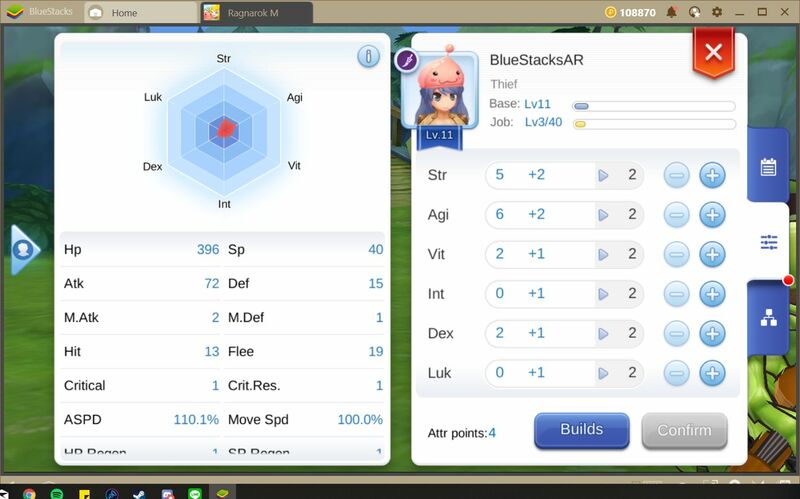 Luckily, this game offers some predefined builds that you can access from your stats menu, and which automatically assign your skill points based on your choice. For example, if you’re a Thief, you may choose between three available builds: the first revolves around daggers and poison, the second focuses on katars and critical hits, and the third relies on stealth and subterfuge. These predefined builds are available for every class, and are tremendously helpful at the beginning, especially if you’re only looking to level up. When you reach the advanced stages of the game, you may reset your points by using special items. Healing Acolyte: Since Intelligence increases the effectiveness of spells, and vitality is essential for staying alive in the toughest dungeons, a good healer setup will usually require 99 points in intelligence and 99 in vitality. However, you may shave off some points in vitality and assign them to dexterity to improve your casting speed. In terms of skills, you will need to learn spells that will help to keep your party healthy, which include Heal, Blessing, Increase Agility, Sanctuary, Magnificat, Impostio Magnus, and Resurrection, among others. Katar/Crit Assassin: Assassins rely on fast and strong hits to the enemy’s vital areas, which translates into many points in Strength and Agility, as well as some points in Luck. Specifically, you should invest at least 99 points into the first, and at least 70 into the second, whereas you need somewhere around 30 points in the latter. 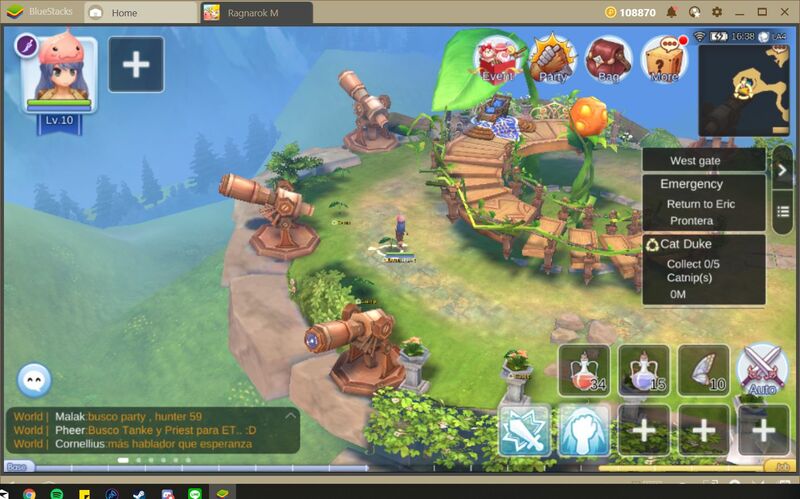 In this manner, you will be attacking very fast and hard, and many of your hits will be crits. For skills, this character will need everything related to dodging (since they are very squishy), poisoning, and proficiency with katars, which includes Flee, Hiding, Ambush, Katar Mastery, Enchant Poison, Backslide, and Sonic Blow, among others. These are only two out of many possible characters builds that you will have access to later in the game. However, by learning about the importance of each attribute, you are now able to experiment and create your own builds suited to your personal preferences. If you want to learn how to level up fast and gather many skill points, we suggest you take a look at our speed leveling guide. 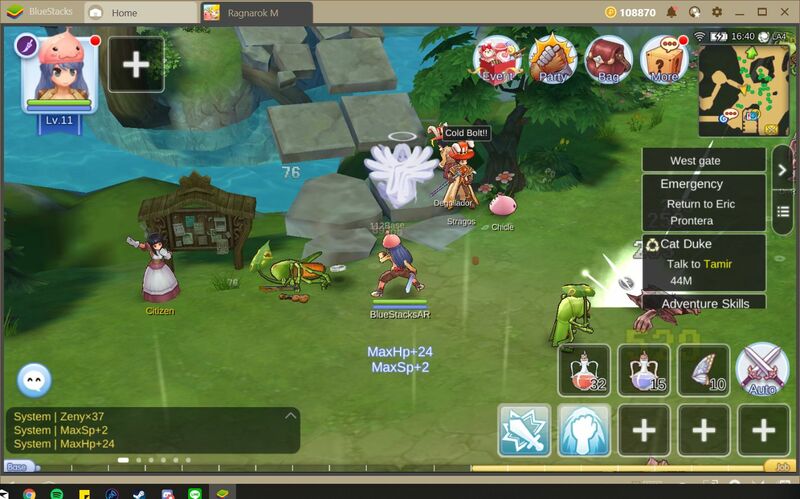 Alternatively, feel free to check our blog to discover more useful guides and tips for Ragnarok M: Eternal Love. What is your favorite class in this game? Share your favorite character builds in the comments below and help your fellow gamers enjoy the full potential of their class!